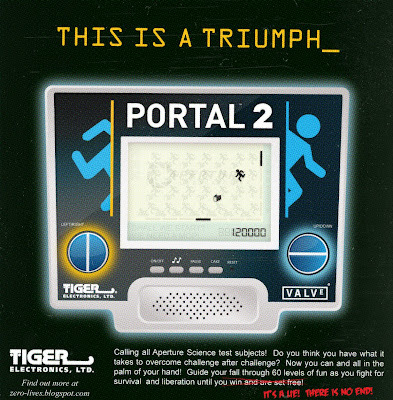 The second of my Tiger hand-held game revival series, those rubbish adaptations of hit movies and games from the 90's. The point of the game is to move the portals up, down, left, and right so that your character doesn't slam into the floor below all the while trying to nab a piece of precious cake. As the game progresses the speed increases and your fall path gets more interesting. Lives are acquired with each 100,000 point increment. For my next and last in the series I was thinking of either Team Fortress, Call of Duty: BO, or Plants Vs Zombies. Really great job again. The fact that you draw the screen too is amazing. Thanks! Years of continual disappointment from Tiger games has done me well. I use to love those old games then my father got a job! Best ending evar! 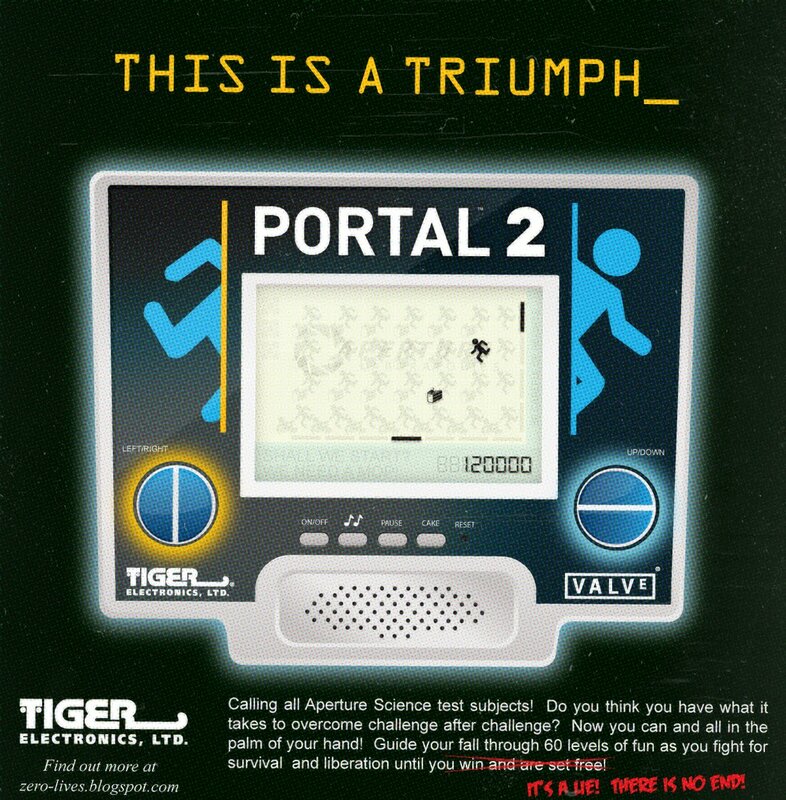 Portal 2. In Russia movie watches you!